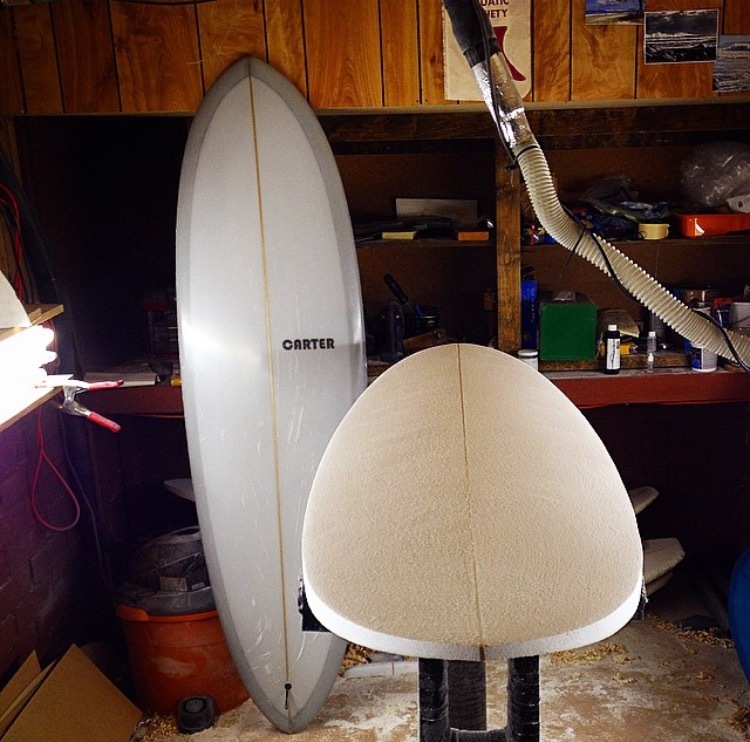 Sean Carter shapes rad custom boards by hand out of his garage in eastside Los Angeles. 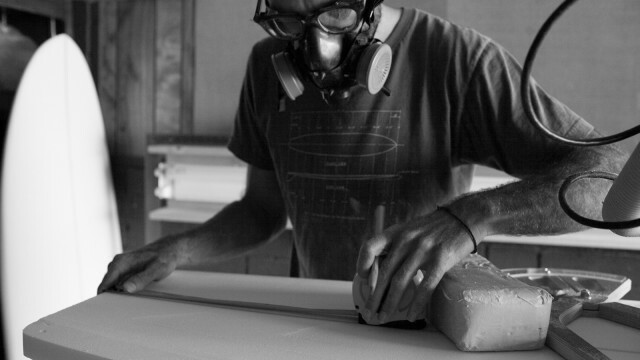 He is a real craftsman treating each board from concept to completion like a piece of art. We caught up with Sean recently and asked him a few questions about his craft. Where are your currently shaping? I shape out of my garage and I’m located in the Eagle Rock neighborhood of Northeast Los Angeles. I’m an eastside guy as I feel so much more cultural affinity for this part of town than anywhere else in LA. I’d like to be the “go to” shaper for eastside surfers. This is a tough question to answer. There are the greats who through their shaping legacy have passed down a wealth of knowledge to us little guys. Some of those that I look up to are Terry Martin, Skip Frye, Rich Pavel, Rennie Yater, Marc Andreini, Chris Christenson, Gary Hanel, Brian Hilbers, Dave Parmenter, and probably like 25 others I can’t think of at the moment. If I ever become 1/10th as talented and accomplished as those guys I will be stoked. Some influences that are “closer to home” for me and that I have actually had the pleasure to shape with are Jimmie Hines (check out his boards, they are exquisite! ), Richard Wisz, and Mike Ortiz-Smith. 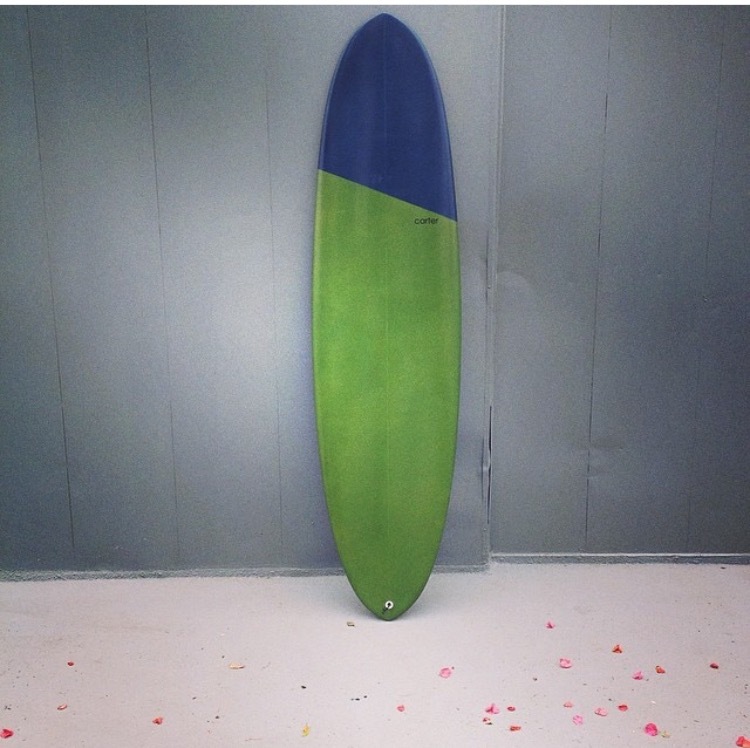 I shaped my first board in 2007, but have been shaping in earnest since 2011. What is your favorite design board to shape? 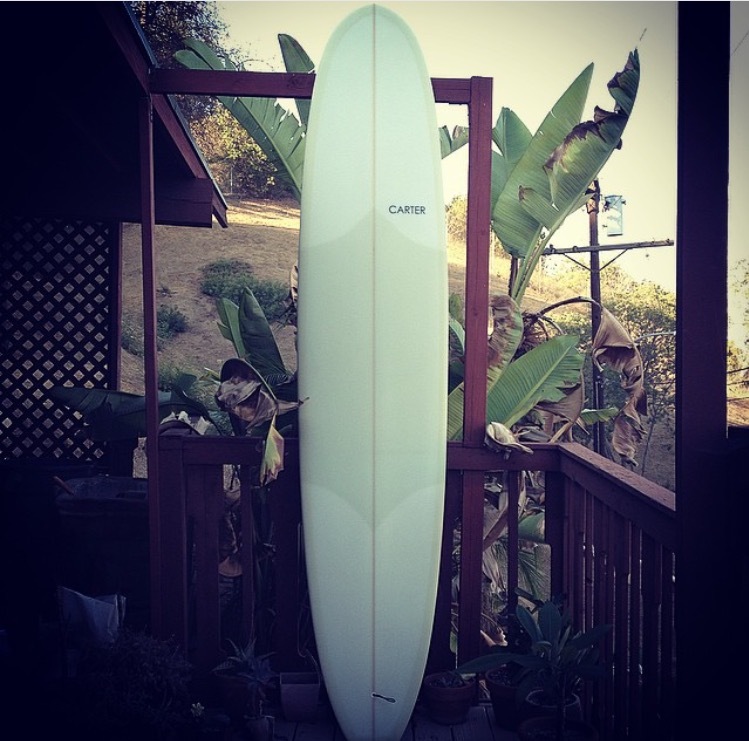 Like most shapers, I really like to design/shape boards that I am most interested in riding myself. These are typically lower rocker, short, wide boards based on a fish or mini-simmons platform. 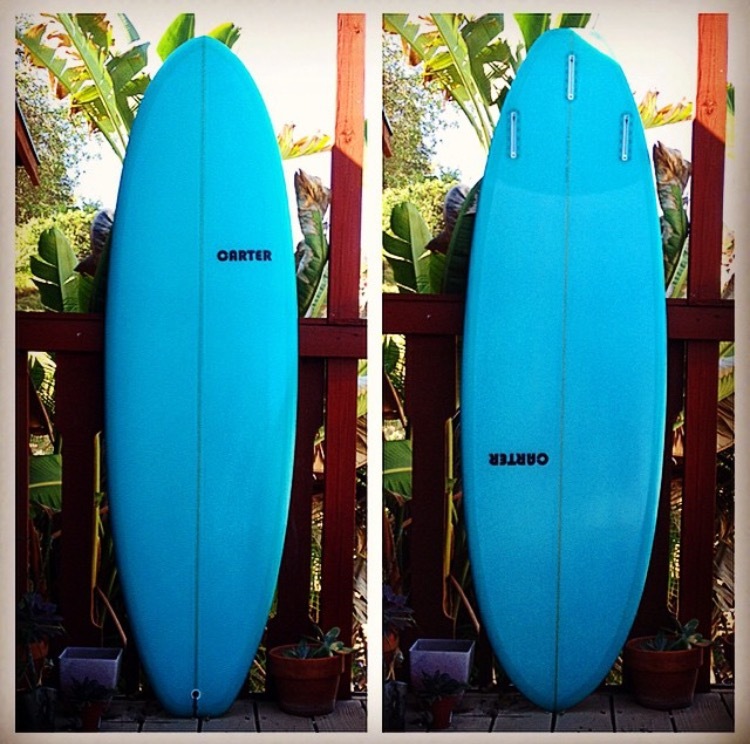 I find that they work really well in the crappy surf we usually have here in Los Angeles. Lately I have also been doing more longboards at customers’ request, and I have really been enjoying these as there is so much variability in rail-line, rocker profile etc. to work with and figure out. 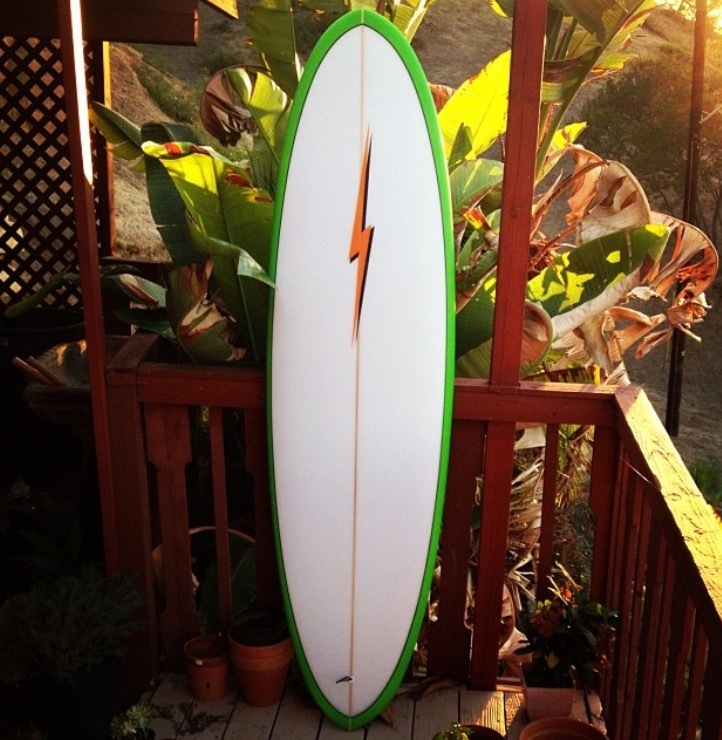 I love surfboards! 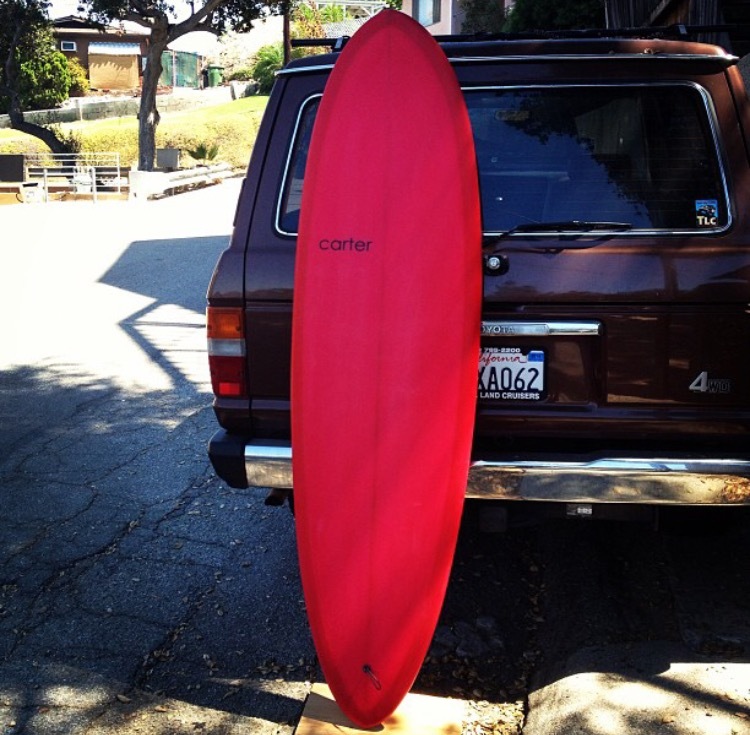 Carter Surfboards- The Magic Bus from Jesse Carmody on Vimeo.